GPS Fleet Tracking and Vehicle Management Devices and Software. 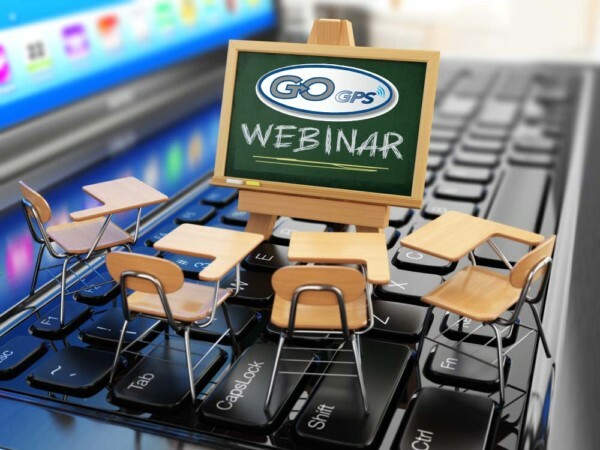 GoGPS provides the world’s most sophisticated GPS Fleet Tracking & Management solutions that help organizations develop company-wide management policies to improve driver behavior, enhance driver safety, and on-road productivity. 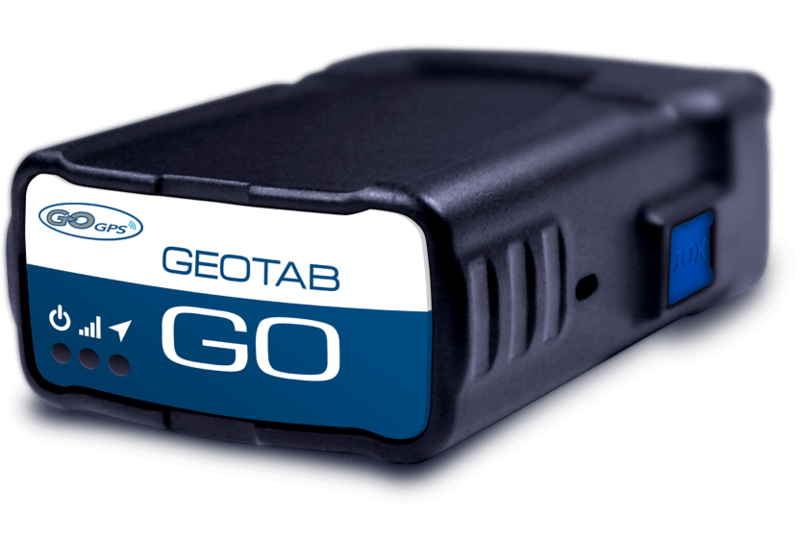 With advanced plug and play installation, the Geotab GO GPS Fleet Tracking device is a quick and easy install. It relays true and accurate data from multiple sources throughout your vehicle and works seamlessly with the end-to-end fleet management software . 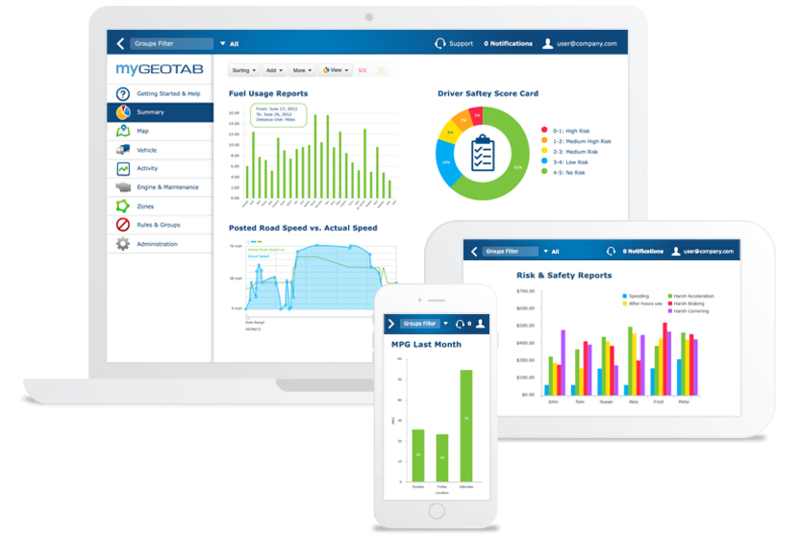 The MyGeotab software combines and relays all of your complex data into one place and curates simplified visuals and helpful information so that you can make smarter decisions about your business. 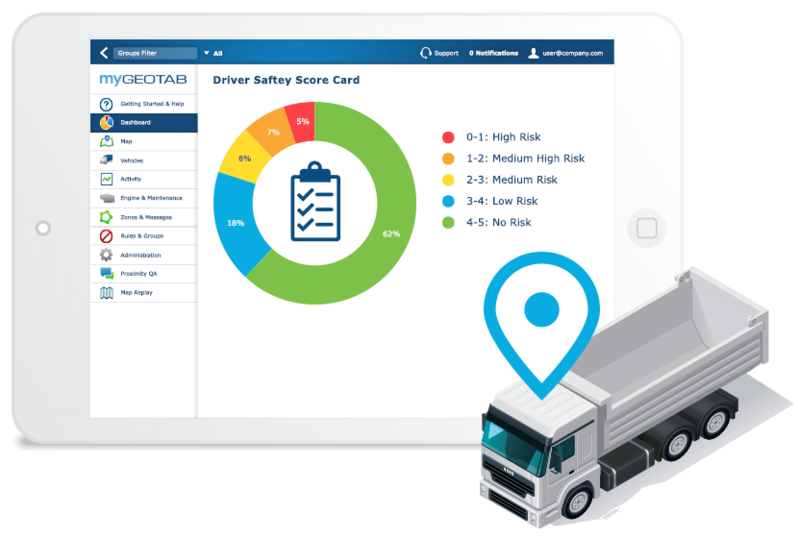 Our end-to-end software is web-based, flexible, reliable and included with your fleet management solution. We understand that each fleet may require different applications in order to achieve its full potential, which is why our solutions also have optional add-ons. If there is something uniquely specific that you are hoping to monitor throughout your fleet, add-ons are a great place to look. Each week we select a few add-ons that have been particularly popular and highly rated. 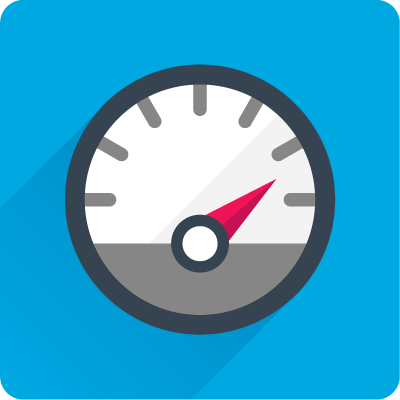 This report is designed to run as either a dashboard or an emailed report, and displays the top 5 drivers or vehicles with the highest number of speeding events in a specified time period. This report can be run daily, weekly or monthly. 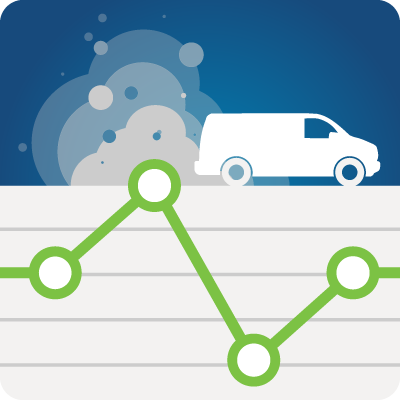 This report shows the entire fleet’s idle cost on a weekly basis for each day, based on the industry average that every hour of idling will burn 1 gallon of fuel, this makes it easy for fleet managers to know how much idling is costing their company. 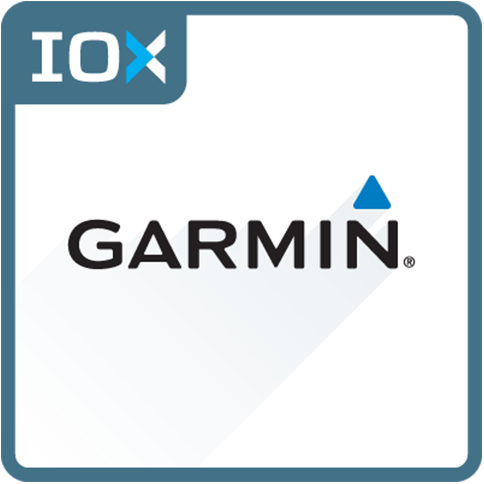 IOX (Input / Output Expanders) plug directly into the GO device and are used to extend the GO device to peripherals in your vehicle. 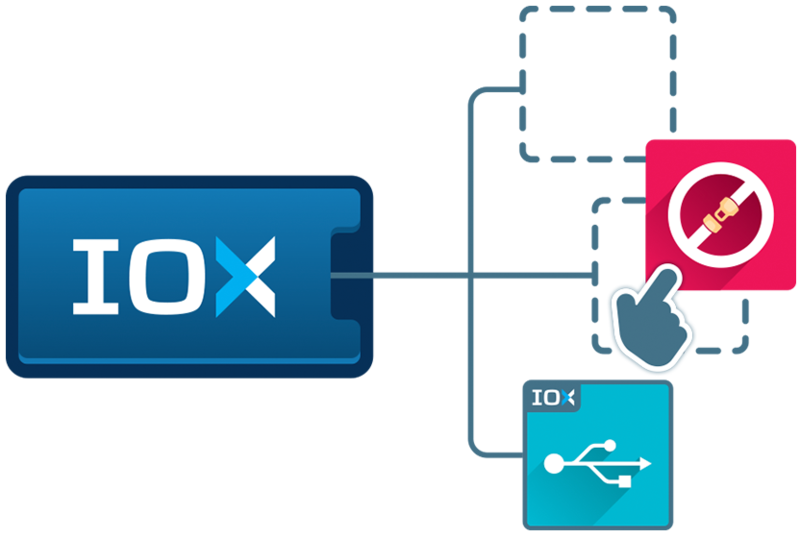 Leveraging the CAN networks that run on the GO device, IOXs can be daisy-chained together meaning multiple peripherals can be added to the GO device. Interested in how our fleet management solutions can benefit your company? Request a product demonstration to learn how GoGPS can help you achieve ROI and grow your business. See what our clients have to say about our fleet management solutions. If you are considering utilizing our fleet management solutions, interested in ordering or if you simply have a question, feel free to contact us and we would be happy to help you. If you currently have an order placed with us and would like to check up on it, please login below for more details.